No man in his natural ability can defeat Satan and his demons. Satan’s number one task is to turn your heart against God. He uses sickness, fear, disappointment, poverty, depression, temptation, among others to take your mind from the things of God. He wants you to doubt God’s power to supply your needs. He is smart and knows how to get to your weak point. He attacks you when you are weary and anxious. He was in the Garden of Eden, he tempted all the great prophets and apostles and our Lord Jesus Christ. If experience is anything to go talk about, Satan is experienced in turning man’s heart against God. 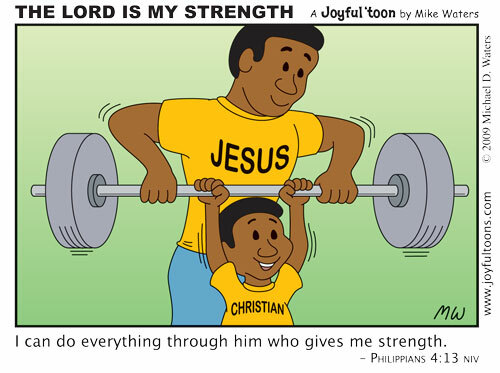 Jesus, knowing that man can’t fight with his strength, gave us power to live in this world. In Luke 10:18, Jesus said “I beheld Satan as lighting fall from heaven.” That wasn’t good news for man as man became vulnerable to his attacks. The only remedy for us was Jesus Christ. Jesus came to destroy his works and to give us power to do what we couldn’t do on our own. So when you accepted Jesus as your Lord and Saviour, you received Power over all the abilities of the enemy. You have power over sickness, poverty, fear, disappointment, discouragement, sin, temptation, broken-heart, etc. Surprisingly, some believers don’t know that they are equipped so when they see obstacles in front of them, they give up. Such people live as those without Jesus. As a result, when the world is crying because of economic hardship, they join them. When the world is terrified about outbreak of diseases, they are also terrified. When people are insecure, they feel the same. They don’t know that they are lights of the world. They haven’t realised the power that is at work in them. Its high time believers believed that God’s arm isn’t weak to save them, nor his ear deaf to hear them call. Our God is mighty to save. Friend let God transform you into a new person by changing the way you think. This should be your prayer each day because the enemy attacks your thoughts when he gets the chance. Know that you are not ordinary: You have been born of God, His Spirit lives you, His angels are protecting you, and you have supernatural power to do wonders in this world. No weapon formed against you shall prosper. “They will attack you from one direction, but they will scatter from you in seven!” Deuteronomy 28:7. If all of us will know and exercise the authority we have in Jesus Christ, then we can live best lives and reach out to save many. It is true as we walk in obedience to the Lord we have great power.